Hey, all. Just posting a link to a little fanfic I've been working on. Probably going to upload it to DeviantArt once it's done. Maybe do some cover art in Inkscape, now that I've got the character constructing stuff down. Google docs require a registration to access the file. Can you check the setting to look if the file can be downloaded without logging? Devian'art should be an alternative, it don't require log to get the files. I switched the settings to log-in only a while back, after I left some notes on the draft version. I've put it back to public now, but keep in mind the ending and rewrites are still in limbo. 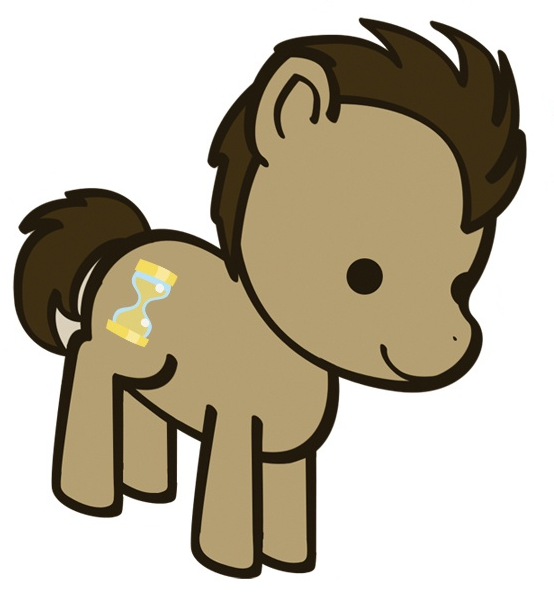 I'm not entirely happy with how it is right now, and the pony fanfic is kind of distracting me. I'll try to get it in order next week. So... Is this an okay place to discuss S6? Unfortunately, not really. There's posts every now and then. >So... Is this an okay place to discuss S6? Ah, okay. Well, I'll wait a bit and see if it wakes up, I suppose! No prob! There's a bit more on BlueOcean's site, too. Do you want me to get you more images? Usually I still lurk here, but I really few time in these months to be really active, except on Twitter there I "need" to be present keeping some art pages. I think to have already talk too much about the 6th year for FiM in other places... I could say anyway that as Opening was better than the previous one, the Starlight part of story have a reason to exists (another thing if Starlight has sense as character, but I don't disgress on this...), but that seems much more a "normal" episode stretched for 40 minutes, when a 20" one was much than sufficient. 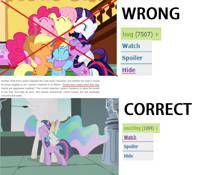 Seems really the staff, or Hasbro, has no idea what to do whith the princesses (old and new). I miss you all fam. I see my trip ain't the same here still. Soth is alive as ever, with a name change. Nothing of exceptional, but Dracco/BRB gave us a small holyday video for this christmas, with a couple of shots of the "crystal episode" (The Missing Student (?)). There is more activity on Facebook page of MyFilly recently after month of silence. Seems a good sign that we are close to the air, but we need of a new press release with a more precise period to be really sure. I would not overthinking about that too much for now. To me seems more amazed as other character for what he sees, but he need to not be too noisy for remain hidden. 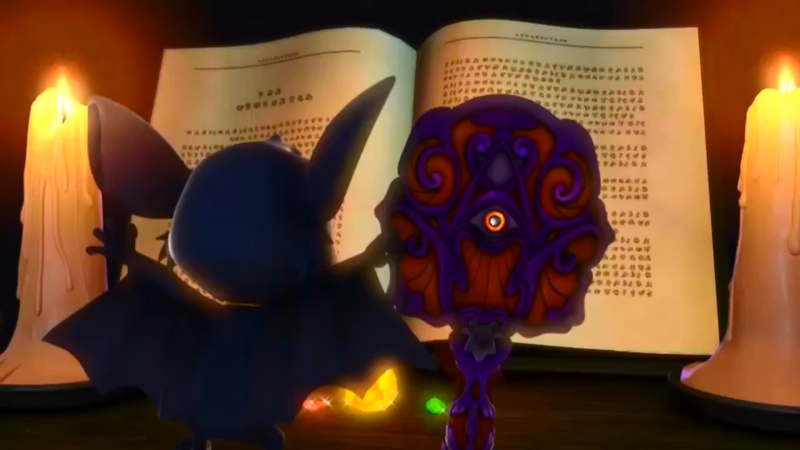 I would not surprised if anyway Battiwig knows already something, but I expect more that is Wranglum to explain why they "need" of that stuff, for some kind of power or something they need for their plans. 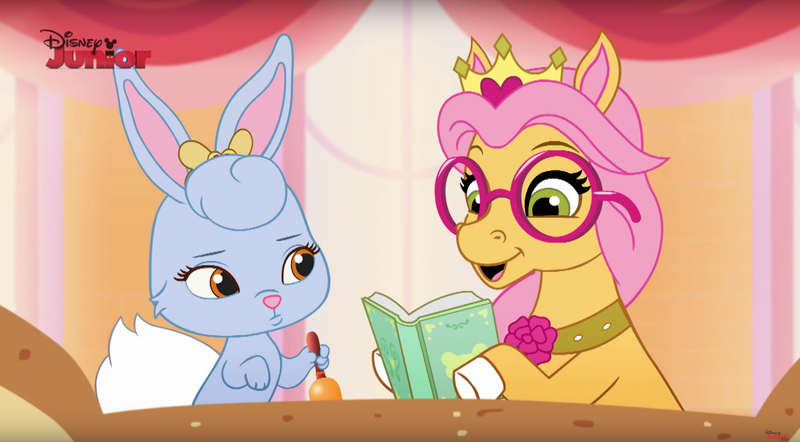 One thing that we already see in the last promo is they working on some crystals, so probably they know much more of the other Fillys in the Academy (except probably for Princess Sparkle). >To me seems more amazed as other character for what he sees, but he need to not be too noisy for remain hidden. I would buy that if Battiwigs had his jaw open in awe the whole time. He just lets out a small, calm, controlled "yep", which I guess it supposed to be humorous: it's much more subdued than Zack's and Rose's reaction, as if to say that there is no need to be so charmed and paralyzed like these two are. >I would not surprised if anyway Battiwig knows already something, but I expect more that is Wranglum to explain why they "need" of that stuff, for some kind of power or something they need for their plans. 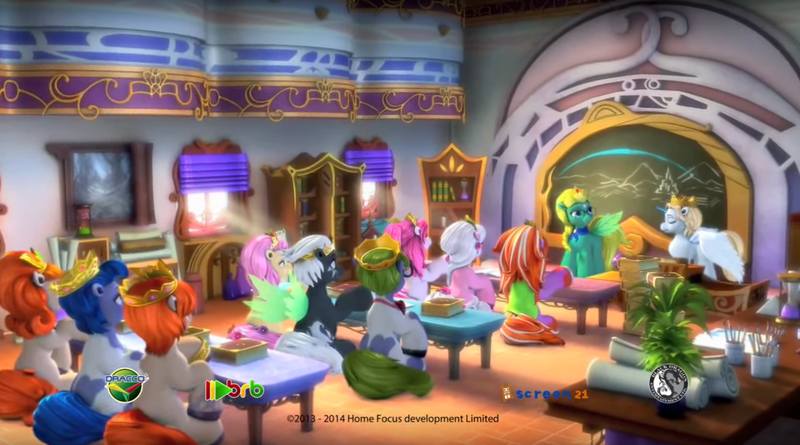 One thing that we already see in the last promo is they working on some crystals, so probably they know much more of the other Fillys in the Academy (except probably for Princess Sparkle). This message was truncated, click here to see the rest of it. 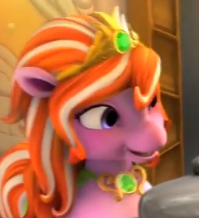 >The Funtasia TV series is based within the grounds of the Academy; however, the movie starts with the arrival of a mysterious stranger to the school that begins an amazing adventure leading Rose and her friends beyond the walls of Funtasia and through all of the Filly Kingdoms. 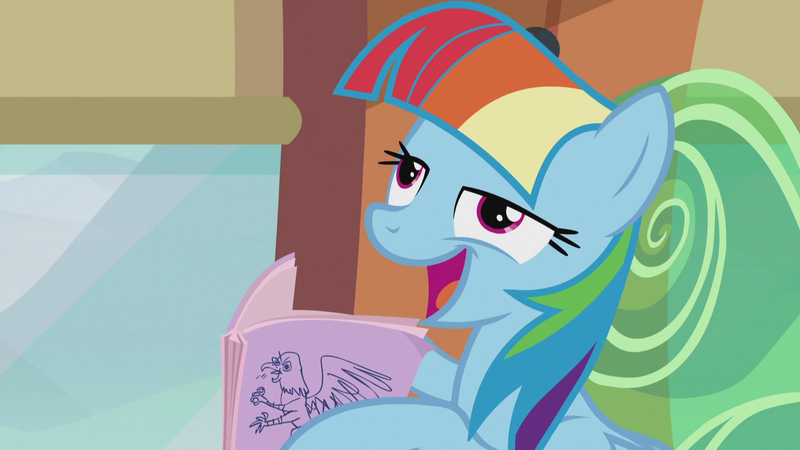 >Funtasia is the center of all magic in the Filly world. When the Academy’s Headmistress Sparkle is found unconscious and the crystals from her magic mirror missing, spells, potions and even everyday magic begin to act unpredictably. 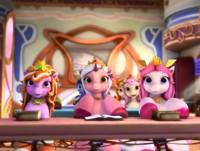 These effects are also felt throughout the many Filly Kingdoms. I think got "movie" they mean a special episode, probably at least 60" or close; the lenght of a standar episode is already of 30", so that could be the equivalent of a double-part opening episode, just that doesn't figure on the "Episode list". Seems there is a lot of stuff, but with at least a hour (I think! ), should not a problem to show all with a plot that works. Look at these girls: Lynn, Rose and Bella. They seem to be looking at Zack, who is standing by the blackboard, talking about the Blue Rainbow, and ignoring his every word because of how handsome he is. Do you think we'll have some sort of a fight between the girls for Zack? Oh, one can only hope. 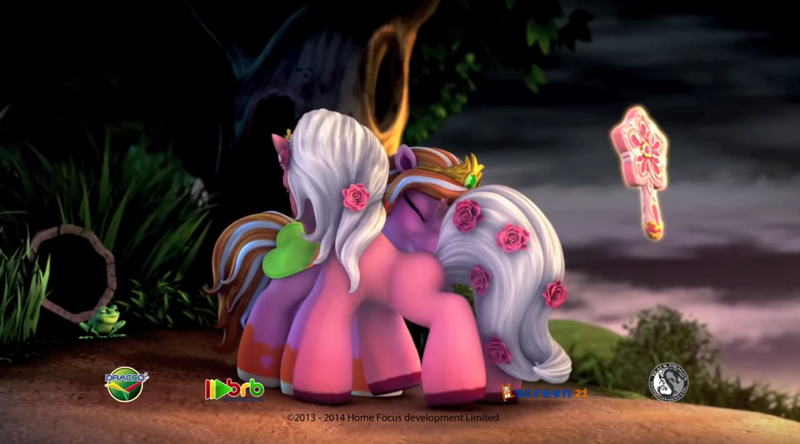 It'll be hilarious to see magic-using fillies fight over a boy. Even more so if Fabian enters the equation and tries to hit it off with Rose as well... and/or Zack. Triangular ships, ho! Put no effort what so ever into these, but still thought they were shareable. Okay, let's see if the reply doesn't get eaten this time. 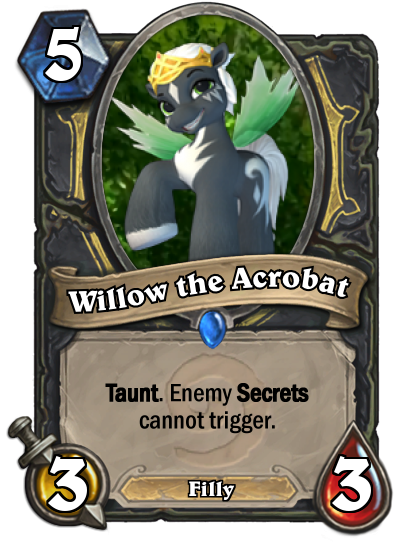 Cedric would make a great tech card, Bella is kind of useless as a Shaman card except against Hunters, Willow is a neat anti-mage Rogue card (that is Rogue, right? 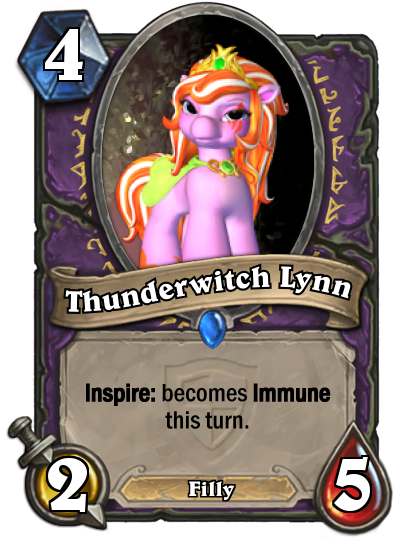 ), Thunderwitch Lynn would go straight into a Handlock running Fizzlebang, easily. Rose makes for a nice combo finisher, and feels mostly balanced, like Ancient Mage was in some older Freeze Mage variants. Zack is super duper OP, though. There's Stampeding Kodo, repeated board wipes, and Taunts that can deal with it. In Control Warrior, too stronk. Daw, thanks for the feedback! I pretty much disregarded everything about the metagame when I was making these cards, and instead went with gut feelings and Filly lore. 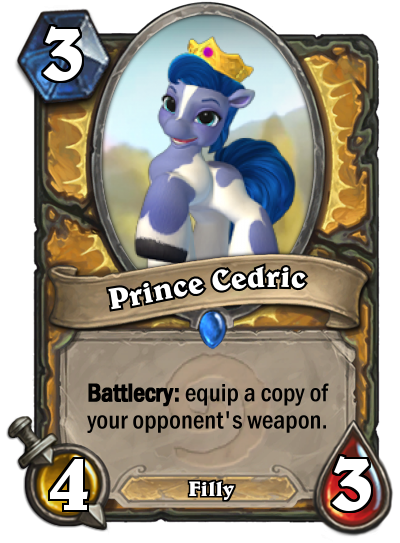 Cedric is supposed to even the odds by making you and your opponent equal weapon-wise, like a fair knight that he is. Hopefully. 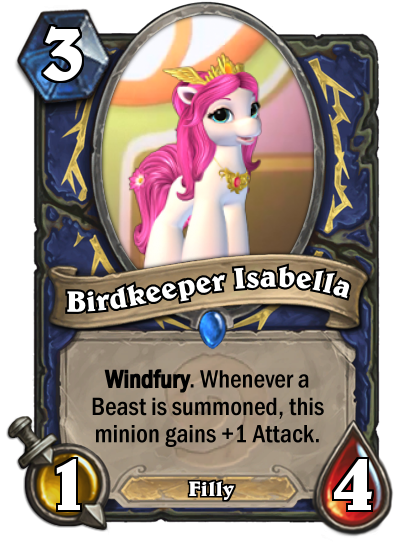 Bella is probably the most uninspired card of them all because I had no idea how to translate "I'm a hero!" into card mechanics*. Guess I should've given her Charge instead! I wanted Willow to be an annoying prick who ruins your plans in a way you would never expect, so I gave him a never-seen-before disrupting mechanic. And Taunt, because that's what he would do. Taunt ya. And yep, that's a Rogue card. Lynn is designed to be weak until she gets inspired by someone else, then she becomes unstoppable. Supposed to reflect her character biography. >Bella is probably the most uninspired card of them all because I had no idea how to translate "I'm a hero!" into card mechanics*. Guess I should've given her Charge instead! Considering the recent Patron nerf, I think Charge would be an exceptionally bad idea. Maybe make her more of a Dr. Cupcake: a 1/4 that adds five 'Enchanted Cupcakes' to your hand. The Cupcakes are all 1/1's that have a random heal for their Deathrattle. As for how she'd fit in the meta, she's be crazy strong in Bloodlust decks, and a Hobgoblin enabler. 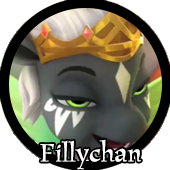 The pretty slow posting rates on Fillychansite has basically made /all/ the best board on Fillychan. 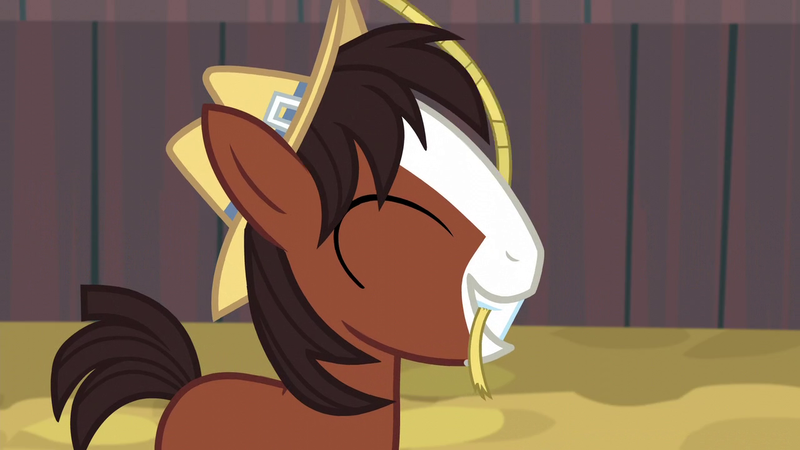 But that overboard usually includes Fillychan-/mlp/, on which it's pretty possible to be spoilered on pony matters, and I can well presume that you are trying to hold out on S5 in order to binge-watch it after the season. The tip is that if you go to Site Personalization either to the left or at the bottom of a thread, and in it find a tab called "Overboard Settings", you can place a check on "mlp", and if the setting actually works, you won't see /mlp/ threads on /all/ anymore! This will remove 75-85% of Fillychan's S5 spoilers, although it isn't a systematical removal of it. And I haven't actually tested the setting myself before posting about it. Here's hoping it was of any help to you! Thanks for the tip, and sorry it took so long to reply to it. Right now I just click on the main page and only check the /fill/ pages as well as the /off/ ones. 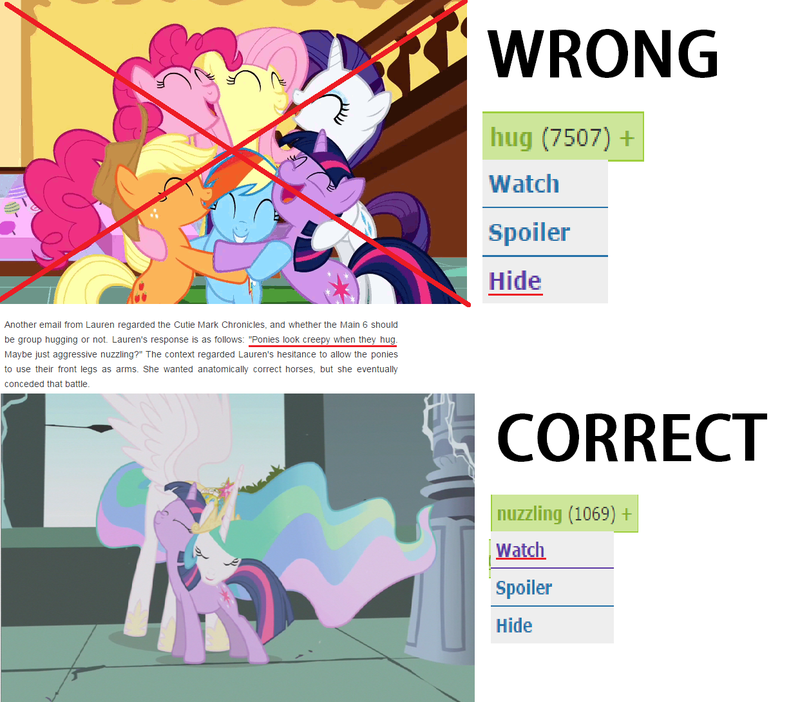 Sometimes I may misclick and get /mlp/, but it's no biggie. I've pretty much accepted that the only way to avoid spoilers is to stick my head in the sand, literally and figuratively. I'll get around to binge-watching on December 5th, it won't be an issue anymore then. I'll be spending most of the month on NaNoWriMo, writing a new novel, so might just stop checking anything remotely pony-related, especially with Funtasia Daily getting spoilers now, too, because of my own dumb fault. I'll definitely hop in around mid-December, when I expect to have done Edward's materials and textures. The model and rig are done, so it's just that. 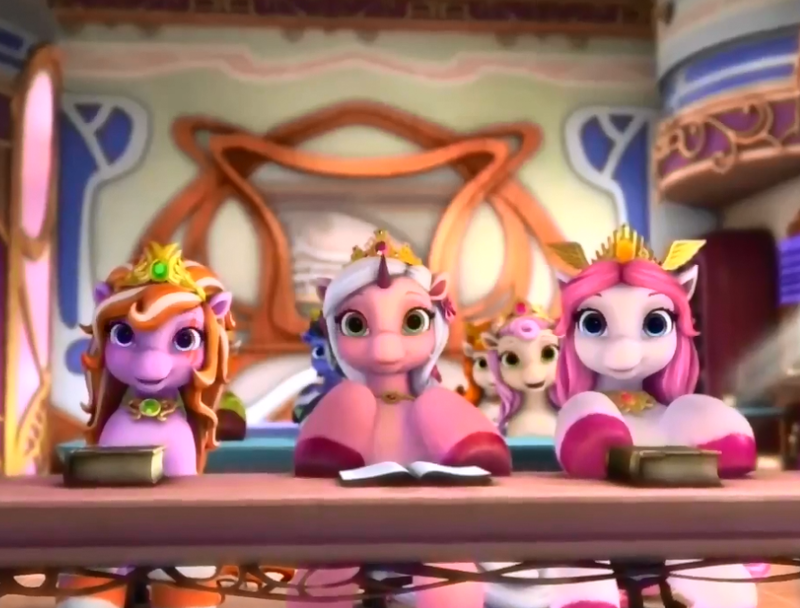 Also, just now I take note of another correct detail: Fillies don't sit on chairs. Ironic to see another cartoon is doing what Lauren could not do in her own. Maybe it's a genre thing. I'm not a fan of the fact that according to her, reindeer are basically cats on hooves like ponies were, even if it is a step up from mice on hooves, like they're usually portrayed as. Fillies at least look like they have working bodies, and they've got more of the Littlefoot snout than the kittyfaces we're so used to. Gotta give'em credit for that. I gotten busy in the last weeks but I wanted add a thing here. She is, but at least is not an her fault if the fandom idolatrize her (and for me she is quite clever use the fame for his endings). 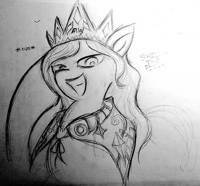 Lauren Faust has a good creativity, but average writing skills. While she finds good characters, situations, and undestand what things could be really interesting to see, she lacks of deep. 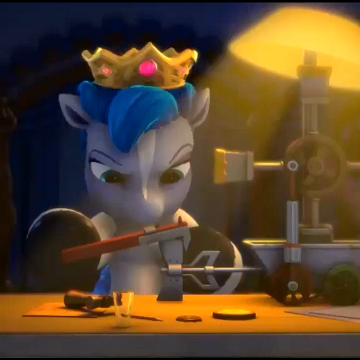 >Also: tailhole, in the Sparkle's chair. This tailhole, which is present in all Funtasia chairs (from what I've seen in trailers and on the concept art), is probably my favorite detail in the FF trailers so far. >Lauren focus only to show the situation, but doesn't create a thick context for it and the roots (the causes) that explain why these things exists. I assume this had to do with relatability. The audience is indirectly informed that all that is not clearly defined by the author should be replaced with a similar thing from their past experiences, be it a different art piece, or real life occurrence - this way, the audience's expectations & imagination kinda fuse with the incomplete background of the author's work, making it all relatable. 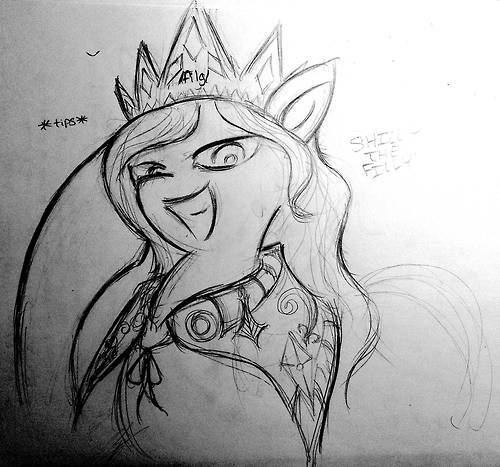 One silly and very short filly "fic" wrote on Twitter some days ago: Filly Mermaids are a fishy race, let me say. Not just for the tail. "The truth about Filly Mermaid"
The Filly Mermaids are, in truth, the pirates of the Filly Caribbean, who stash the treasures raided from the ships they sunk. Long time ago, Cedric ordered more fifteen magical swords from the Witches, but the ship was sunk by the Mermaids, and the weapons stacked with the rest of the loot in the Treasure Box Castle.